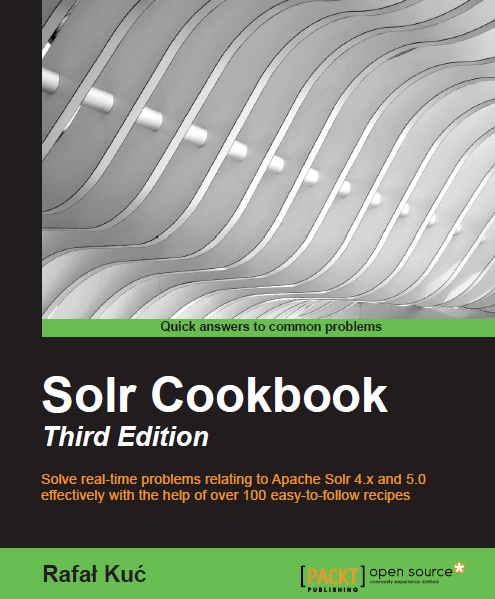 In connection with the work of slowly upcoming release of Apache Solr version 4.0 I thought that it is time to bring some light on the functionalities that you will get into your own hands with the release of Apache Solr 4.0. The first change we will look at is a simple, but albeit useful functionality called pseudo fields, together with additional features related to the fl parameter. The Apache Solr 4.0 has changed slightly how fl parameter can be used. In 4.0 this parameters can be added to the query multiple times and Solr will take all the values into consideration. Sometimes it will be useful, at least in my case. This will cause the field price_pl to be returned as price. The above will result in Solr returning all the fields for the document (value *) and a field named stock, which will be the sum of two fields: stockShop and stockMain. In addition to the new features mentioned above, there is one more thing that is connected to the parameter fl – the DocTransformer. However I decided to leave it for a separate blog post.